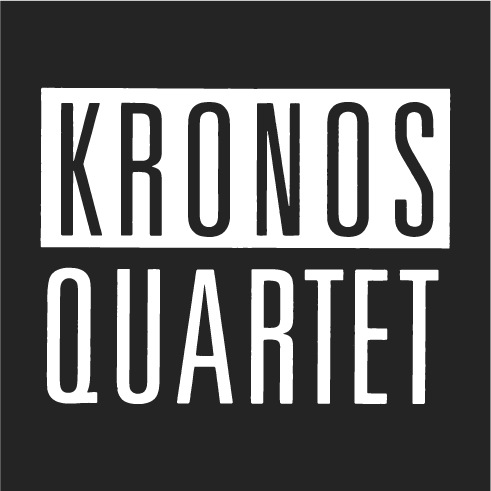 Since 1973, Kronos Quartet has championed new music through commissions, collaboration and education. 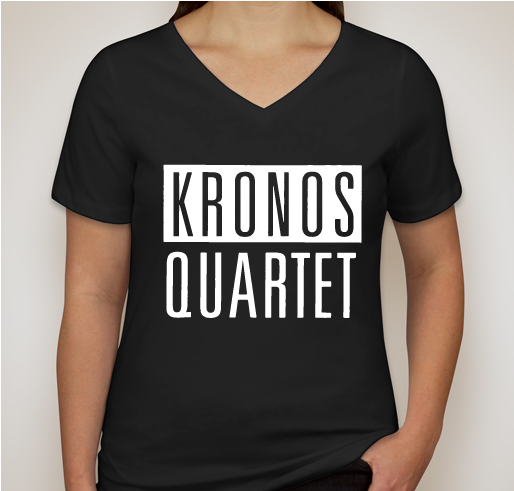 Help support the nonprofit by purchasing a Vintage Kronos T-Shirt. Please consider making an additional $20 donation above the cost of the shirt. All funds raised will go directly to Kronos Performing Arts Assn. .
Before Kronos Quartet even had its first rehearsal, founder and violinist David Harrington asked his friend and former teacher Ken Benshoof to compose a string quartet for the new ensemble. That was 45 years ago, and Ken's “Traveling Music” became Kronos’ first commission. In those days, David had no way to compensate Ken for his beautiful music, but thanked him with a bag of doughnuts. Composers, of course, cannot live on doughnuts alone, and goodwill can only sustain an artist’s career for so long. So, two years later, Kronos became a nonprofit and began to raise money so that we could champion our mission with more than just baked goods. It is a testament to the generosity of our community of donors that Kronos has commissioned and premiered 1000 original works and arrangements, written by 400 artists from around the world. Among these are those included in Kronos’ Fifty for the Future open access education initiative. Through our website, young musicians in 80 countries have downloaded – for free – 11,000 free scores and parts by contemporary composers like Aleksandra Vrebalov, Philip Glass and Wu Man. 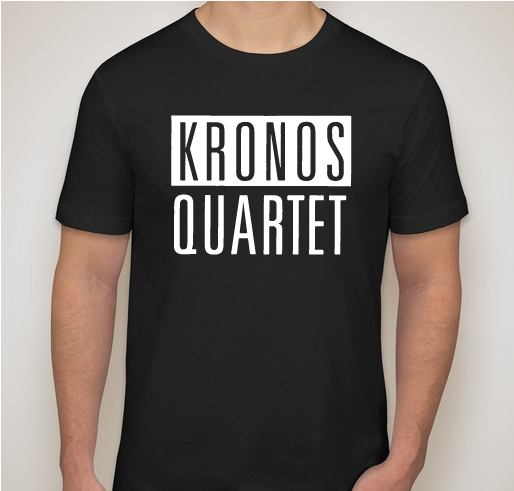 In honor of our 45th year, please consider rounding up the price of your t-shirt to $45 (just $20 more) to help Kronos continue to reimagine the world through music. Your support lifts up not only Kronos, but also the composers and musicians whom we collaborate with, the students we mentor, and the audiences we have been introducing to the future of music since our founding. For 45 years, San Francisco’s Kronos Quartet – David Harrington (violin), John Sherba (violin), Hank Dutt (viola), and Sunny Yang (cello) – has combined a spirit of fearless exploration with a commitment to continually reimagine the string quartet experience. In the process, Kronos has become one of the world’s most celebrated and influential ensembles, performing thousands of concerts, releasing more than 60 recordings, collaborating with an eclectic mix of composers and performers, and commissioning over 1,000 works and arrangements for string quartet. They have won over 40 awards, including a Grammy Award, the WOMEX Artist Award, and the prestigious Polar Music and Avery Fisher Prizes. Through its education program, the quartet regularly performs school and family concerts, coaches and mentors string players of all ages and levels, and participates in residencies at institutions around the world. The nonprofit Kronos Performing Arts Association manages all aspects of Kronos’ work, including the commissioning of new works, concert tours and home season performances, education programs, and a self-produced Kronos Festival. In 2015, Kronos launched "Fifty for the Future: The Kronos Learning Repertoire," an education and legacy project that is commissioning—and distributing for free—the first learning library of contemporary repertoire for string quartet. Kronos Quartet is a huge influence. The CIA hacked my brain! Share Why You Support "Celebrate Kronos at 45"